The genre of e-published LBGTQ books is one of the fastest growing genres with many new releases each week. E-publishing itself is a brave new world with a lot of opportunities, but also pitfalls. That’s a whole different ballgame, however. When I started this genre, yes…way back when, you could count on your hand the number of published books a month. It was an entirely different world back then. Much like with mainstream books, you sometimes had to wait *gasp* a year for the sequel to appear. It still happens now, but overall publishing has become a faster game than it was, with sequels or new series appearing in a matter of months. Right about now, you might be wondering what this post is about. It’s not about how fast this genre is growing, but about the authors who have come and gone over the years. As a reader, with so many new books published each year, it’s hard to keep track of them all. Some books you miss entirely because they get lost in the masses. Some of the really good books stand out though and then there are those books you will never forget because they are on your personal best-seller list and every now and then you go back to them. My personal best-seller list has gotten quite long and I have taken to buying the actual, physical book of those I really really (yes, really) like, to keep them on my shelf. For some authors I secretly keep hoping they will publish something new soon, but it’s been quiet for so long that I no longer keep my hopes up. But like with George R.R. Martin, you never know when a book may suddenly appear! So, looking at my list it made me wonder about some authors who where hot, new and shiny a few years ago and who seem to have gone quiet or disappeared all together these days. J.L. Langley: With her hot cowboy books like The Tin Star and The Broken H. and sci-fi regency such as My Fair Captain, this author was quite popular when her first book appeared in 2006, but since 2012 she seems to have all but disappeared. Rumors are that she wrote M/F books under a pseudonym for a bit. Her website and Twitter state that she is still working on the long anticipated book for Rhys and Sterling and there might be a new sci-fi regency soon, but it’s unclear when. I for one hope there will be a new story! M.L. Rhodes: Like J.L. Langley this author also appeared hot on the scene in 2006. She is the author of a number of widely popular books, some that are still popular today. She wrote contemporary, urban fantasy, paranormal romance and fantasy. Her Draegan Lords series was well liked and today many are still waiting for the long promised and anticipated fourth Draegan Lord book: Circle of Ariend. The author has stated a busy family and work life and illness in the family as her reason for not writing. I can only say that we hope that fourth book will be published some day. Jourdan Lane: This author, like J.L. Langley and M.L. Rhodes, is also one who appeared on the scene in 2006 (I’m sensing a trend here), with the First Soul Mates book. This series was published over a number of years, but due to the death of her father, the author stopped writing. Good news though. Starting last year, a number of her books were re-released and there has been talk about a new Soul Mates book. Hopefully we get to find out what happens next to Peter, Lucien and the gang. 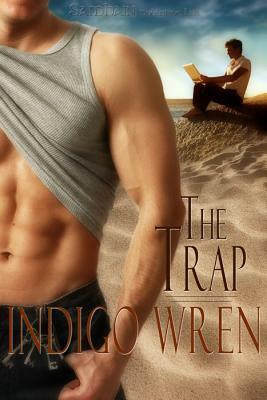 Indigo Wren: This author wrote the very popular book The Trap back in 2010, but has never been seen or heard from again. There were rumors that the author’s name was a pseudonym for another author, but it has never been confirmed (to me) who it was. As the author has been MIA since 2010 and the website is no longer up and running, it’s doubtful we’ll ever see another book. Jules Aedin: This was an author quite popular from 2009-2012 with titles that include Paper Planes and Can’t hurry Love. While the author’s Facebook is sporadically updated, she hasn’t been heard from since. Which is a shame! There are more authors that published only the one (or two) books that haven’t been heard from since. Such is the genre, authors come and go. Luckily, the books stay to be read and read again. Who do you hope will return with a new book? I love Jules’, Every good thing. I reread that book every year. Maybe more. Jl, I see her updates and they make me happy. But afraid too, because last time after a longer period of absence, her next book was not that good imo. It felt forced. But most I miss madeleine urban. I’d love for Madeline Urban to come back to writing. You and me both miss Madeliene. Yes, I should have included Madeleine, but left her out mostly because she announced she would be taking a break. For the most part I hope she finds inspiration some day. She was good! Jane Seville, Marquesate, Sara Bell, Elle Parker, Elisa Viperas also seemed to have dropped off the face of the Earth. Yes indeed. Jane Seville had one killer book, but after that it was quiet. Good one. There’s also Brooke Mckinley who wrote Shades of Gray. i miss Anitra Lynn McLeod…she hasn’t written since 2014 if I’m not mistaken. Kayley Scott wrote one book back in 2012 called A Werewolfs Soldier and that was it. Gabrielle Evans hasn’t written a book in over a year. And yes J.L. we are definitely waiting for Sterling and Rhys. I don’t know Kayley Scott, but I believe Anitra had a problem with pirating and low ratings, but I am not sure as it was not confirmed (as in, I heard it by word of mouth). Scott Sherman, The Kevin Connor Mysteries (First You Fall; Second You Sin; Third You Die). Last I saw anything was 2012/2013. The Kevin Connor books are amazing. I started on ebooks then ended up getting all of them in paperback too. Right now I feel blessed because I still feel relatively new within the world of m/m romance, I only started the genre about 3 years ago and I seem to be catching/fangirling over some of the new authors coming out. That being said, I would love to see J.L. Langley and Indigo Wren publish some new works. And if I’m perfectly honest, I would LOVE to see Madeline Urban come out of writing retirement. Thanks Richelle! Yes, that hint was most definitely there and many people keep hoping. She is one of those authors that take a while to write their stories, so there is hope! No, no one ever told me the name, but there were rumours that is was another published author under a pseudonym because there was only the one book. Of course, there are quite a few authors who only wrote that one gem, never to be seen or heard from again. Brooke McKinley…where oh where did you go? I would love to read more Scott Sherman, Kevin Connor mysteries. Does he plan to write anymore?